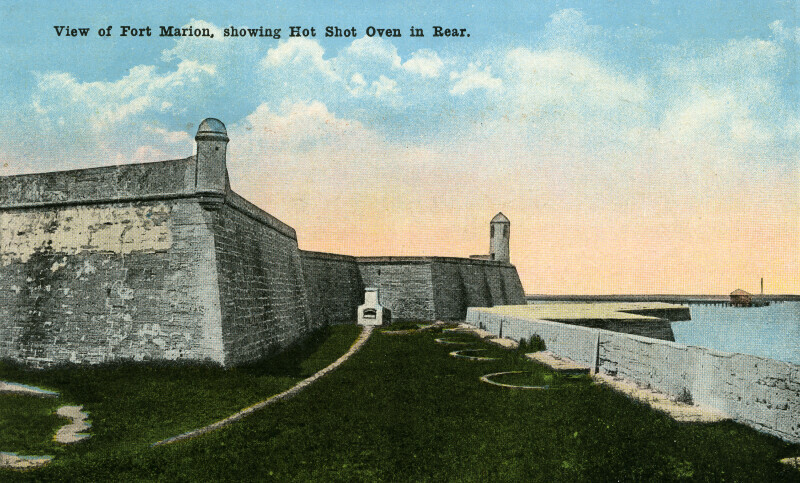 This is a view of Fort Marion, from the southeast corner of the fort. There is a turret on the outermost corner of the nearest bastion. There is a watch tower on the outermost corner of the northeast bastion. The oven, near the center of the image, was used to heat ammunition for the cannons of the water battery. The fort is on the National Register of Historic Places, and is a National Monument. WARNING: You are about to download a 17.0 MB TIFF!